You want to bring a little of the outdoors indoors. What should you pick, though? Perhaps the spot you wanted to liven up isn’t near a window. Would there be enough light? What you need is a Staghorn Fern. 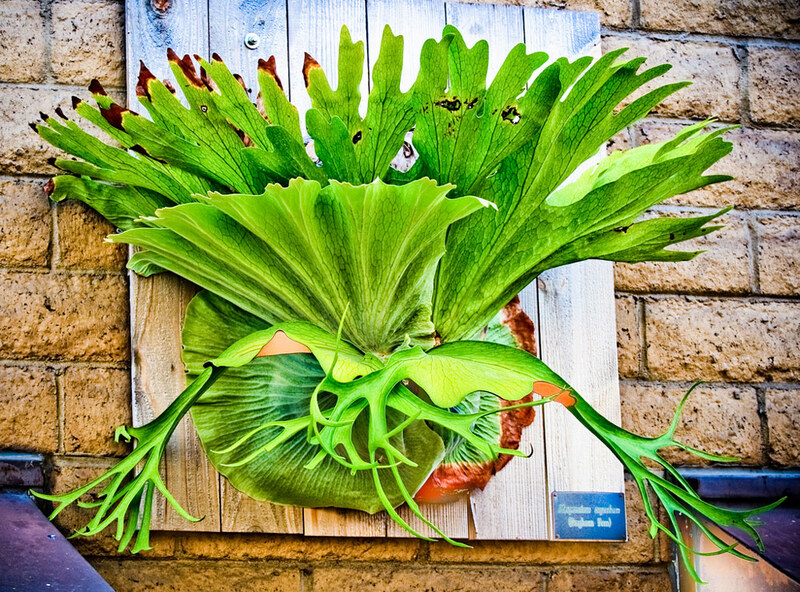 The Staghorn Fern gets its name from its antler shaped fronds, and it gets it nourishment from the air. This plant is an epiphyte, meaning that it grows on other plants or trees. It doesn’t take nutrients from the tree, though. Instead, the tree acts merely as a platform for the fern. To bring the uniqueness of a Staghorn Fern indoors, you don’t need to haul an entire tree into your home. Instead, you need only a piece of wood or a wire hanging basket. Here is how you go about mounting a Staghorn Fern onto a board. First, you need to get a hardwood board wider than the basal fronds. Next, you’ll need some presoaked sphagnum moss. Squeeze out the excess water and put the moss on the board right below the center. Put the fern’s basal fronds on the moss with the bud sitting just above it. Attach the fern with nylon wire and hang your board. When you care for your fern, be careful not to over water it, this is the main cause of a staghorn fern’s failure to thrive. The trick is to check the moss near the center of the plant. If it is moist, then leave it for a day or so before checking it again. If it is dry, then it is time to water it. With its two kinds of fronds, this unusual plant will be an excellent addition to your home. So, if you’re looking for something beautiful and a bit exotic, then the Staghorn Fern is the indoor plant for you. Check it out today!